She is correct cleaning her room is too much for her. She needs me to help her know where to start. I have to tell her that first she needs to put the dirty clothes in the hamper. Once that is complete, I tell her the next step: make her bed. We continue this process: breaking it down into small, manageable steps, until her room is clean. Breaking a big overwhelming task into smaller, manageable items is how every big project is accomplished, especially building your food storage. Over the next year, I am going to break down the huge task of building up your food storage. Each month I will highlight one area of food storage to work on and give actionable steps for three different categories of people; beginners, intermediate, and advanced. 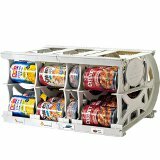 Each month I will be giving away items related to the post to help you build your food storage. Where ever you are at in your food storage journey I hope you will follow along and build up your food storage. Let me introduce the first post in our new Food Storage Building Blocks: a month by month approach to building your food storage. The water supply is easily contaminated or disrupted, and without it we are going to be in big trouble. The lack of water will cause death faster than the lack of food. Your body can start showing signs of dehydration after only a few hours without water. 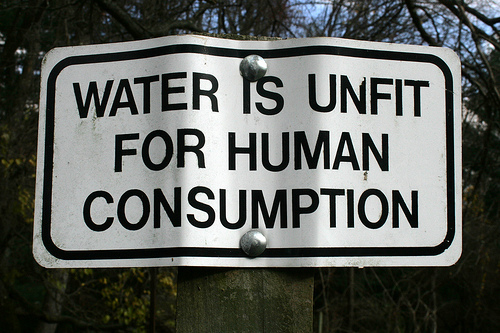 Drinking contaminated water (which we would all do without another option) can cause serious illness. 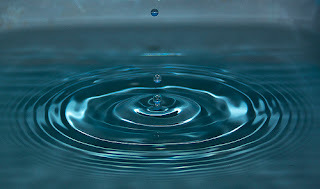 Having a safe source of clean water is critical. Good News: Storing water can be easy and affordable. Plus ½ gallon of water per person per day for basic hygiene. If you plan on doing much bathing, toilet flushing, cleaning or any other water intensive task be sure to store much more water. My family of 5 needs at least 23 gallons of water for our 72 hours. 15 gallon for drinking and 7.5 gallons for hygiene. Beginner: Store 72 hours’ worth of water. · Buy cases of bottled water. A case with 32 - 16.9 ounce bottles (standard Sam’s Club size) has 4.2 gallons of water. I buy one case per person so we have a little more than the minimum (and we just go through them fast). Bottled water should be rotated every 6 months. So buy it and store for 6 months. Buy some more and drink the old. I store my water under my 72 hour kits. In the case of an evacuation I know where it is and can easily load it in the car if needed. · Aqua Pail 400 (upto 400 gallons) $81.99. Comes in a variety of sizes. The aqua pail will filter water from any river source. It immediately kills harmful toxins, bacteria and viruses. Good News: It has an indefinite shelf life. If you want to buy something and put it away and never deal with it again. This is the filter for you. · Steri Pen $59.99 Uses ultraviolet light to purifies 200 half liter servings of water. Does not filter. Eliminates over 99.99% of bacteria, viruses, and protozoa. This product uses batteries so be sure to keep extra on hand and check them regularly. · Frontier Pro Water Filter – $24.83. Filters up to 50 gallons of water. Throw this in your 72 hour kit to cover water for your family. Comes with Camelback and water bottle connectors. You can purchase an optional water heater attachment. o Plus Aquamira. With Aquamira you only have to rotate the water every 3-5 years). o If you are planning on storing your 55 gallon containers out side be sure to get a barrel bag. o Filtration pump each pump filter 100 gallons of water so you need one pump for every two 55 gallon drums. This pump filters as it pumps the water out of the container. Which I love because it means I don’t have to rotate my water as often. · Katadyn Pocket Microfilter – $369.95 Filter an amazing 13,000 gallons of water with 1 filter. One of the lowest $/filtered gallon costs available, replaceable filters make it an even better value. My husband is in LOVE with this filter it is by far his favorite. One lucky reader will win the Frontier Pro Water Filter. It will filter up to 50 gallons of water and is perfect for your short term water needs. It is compact and will easily fit in any 72 hour kit. How do you enter? 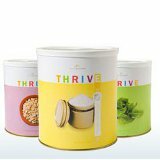 Just leave a comment on this post letting me know what you did to build up your food storage this month. I want to know specifically what you did in regards to your water storage, but I'd love to hear about any progress you have made. For an additional entry you may share this give away (facebook, pinterest, twitter, blog). Please leave an additional comment for sharing the post.